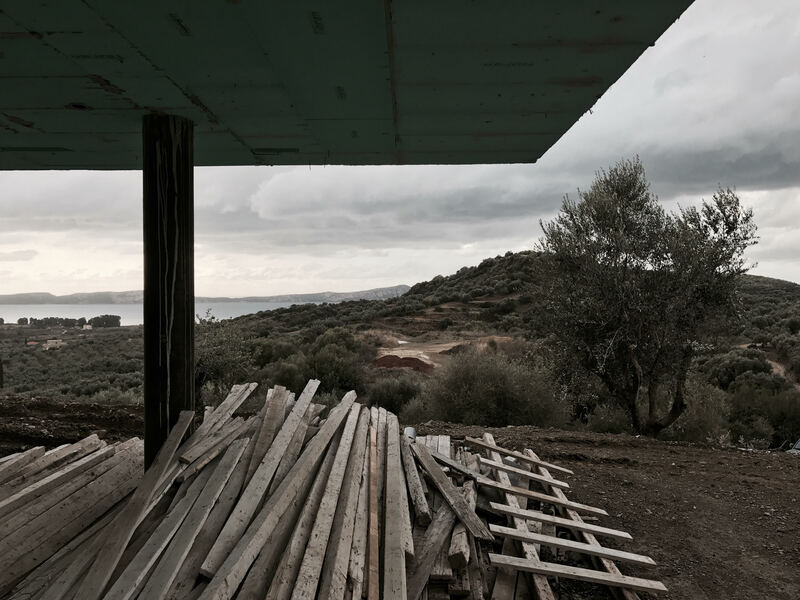 The residence has been designed and it is being built in a steep mountain slope above the Pylos lagoon. The plot is oblong, it has a southwest orientation and the entrance to the building is accessible only from the narrow southeast side. 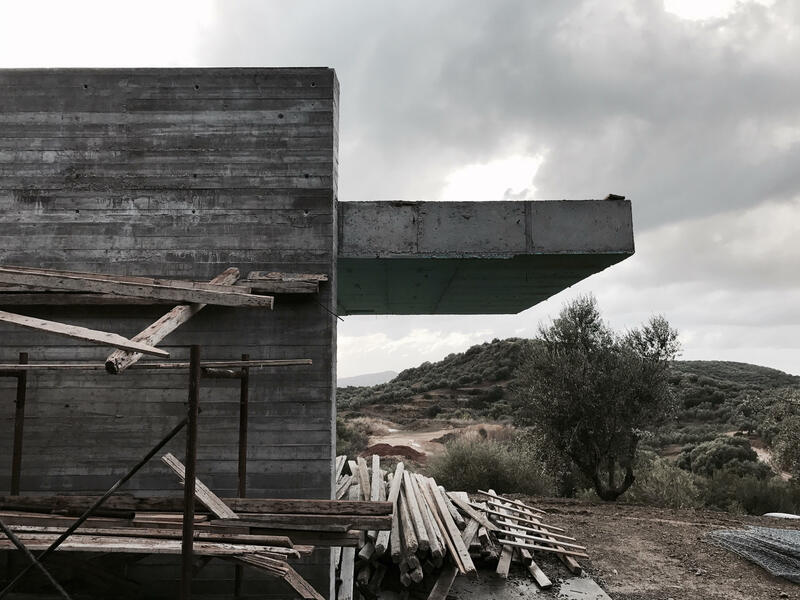 The basic synthesis principle was the design of two strong concrete intersecting axes−walls that traverse - organize the entire plot and are the structure of the building. At the same time, two parallel concrete slabs, slide harmoniously above these walls creating the necessary conditions for the living spaces. 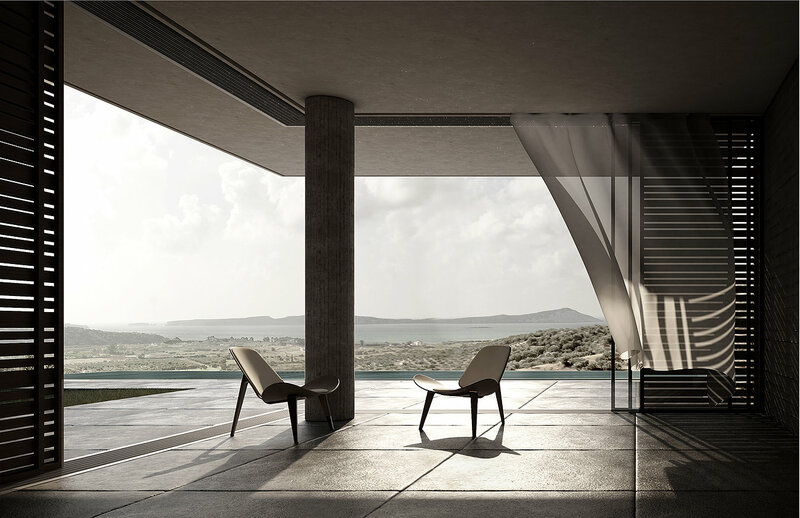 All along the designing, a huge emphasis was given to the relation between building and soil, and at the connection of the interior with the outdoors. 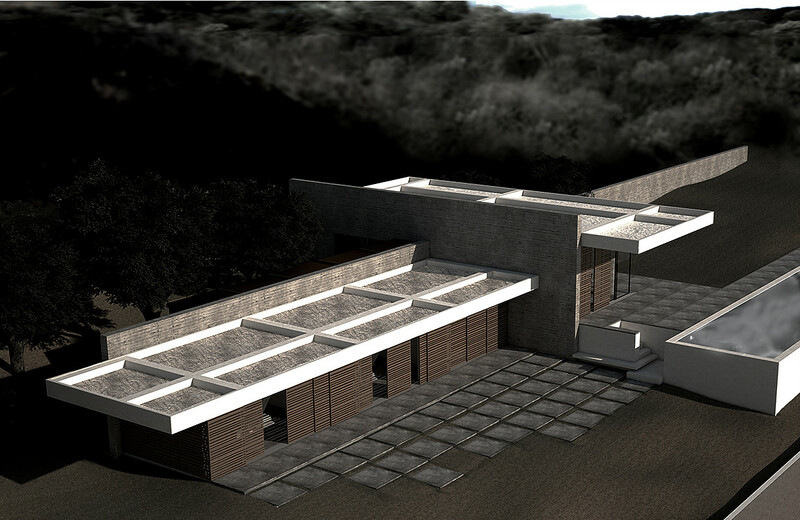 As a result, the residence is structured at two levels with a height difference of 1.2m and as such the building is fully integrated in the soil morphology and the plot slope. 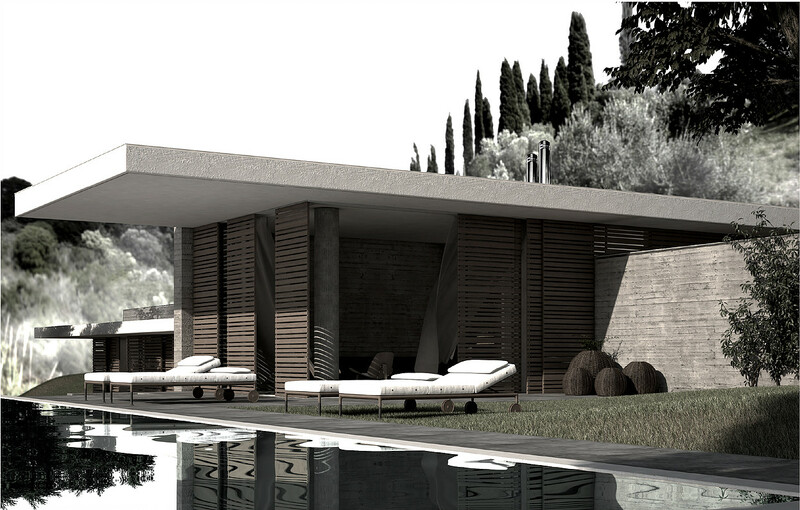 All spaces have immediate access to the natural environment, owing to the large sliding glazing systems that unify the interior with the courtyards, while the smooth transition from the inside to the outside space is ensured by large cantilever slabs creating intermediate spaces and ensuring the necessary shading from the sun. 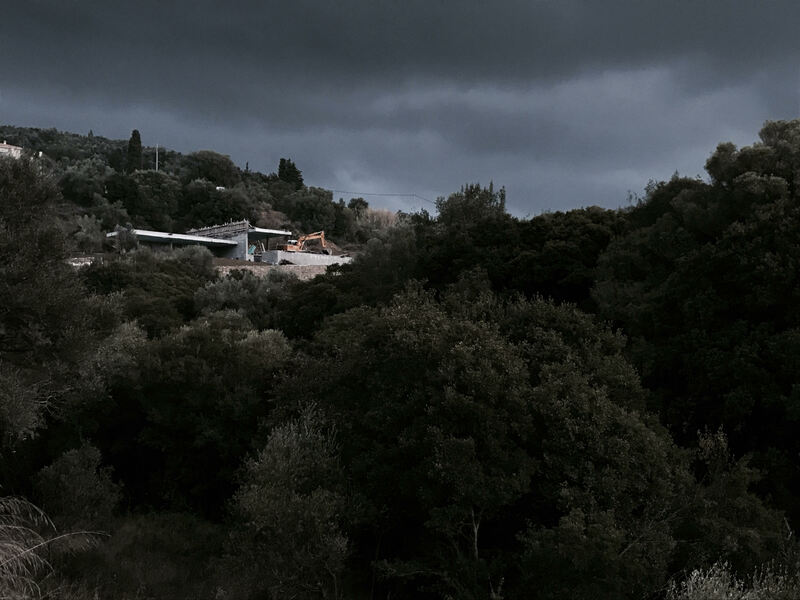 The view to the sea, despite being a fundamental element of synthesis, “is subjugated” to the two strong axes that they either frame or hide the sea view in order to reveal it when necessary. 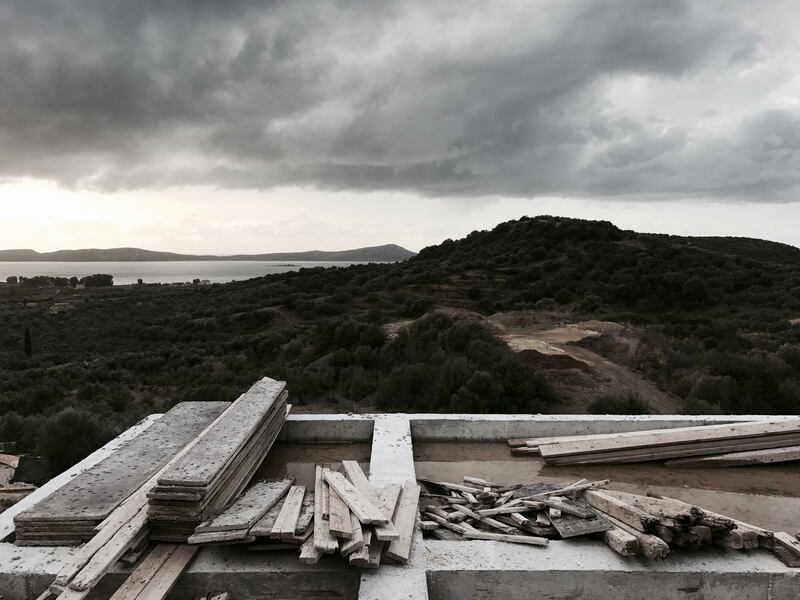 The construction materials that have been used are the following ones: uncoated concrete, rough plaster, wood.